Starry, starry nights. 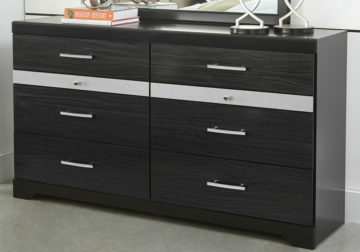 Inspired by Hollywood glam, the richly styled Starberry dresser steals the show in a simply stunning way. The dresser’s replicated walnut grain is enriched with a high-gloss black finish, made even more dramatic with chrome handles with faux crystals. Two felt-bottom six-compartment jewelry drawers with silver glitter finish fronts accentuate a clean-lined, contemporary aesthetic. 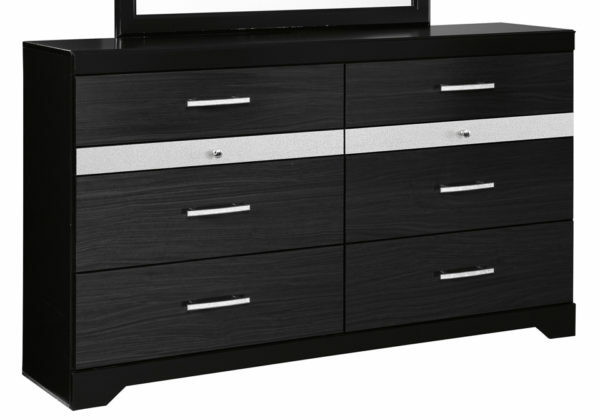 *Dresser only. Mirror sold separately.